Since we have no family close by & we travel a fair amount, we talk a lot about where everyone is. This is a hard concept to understand. 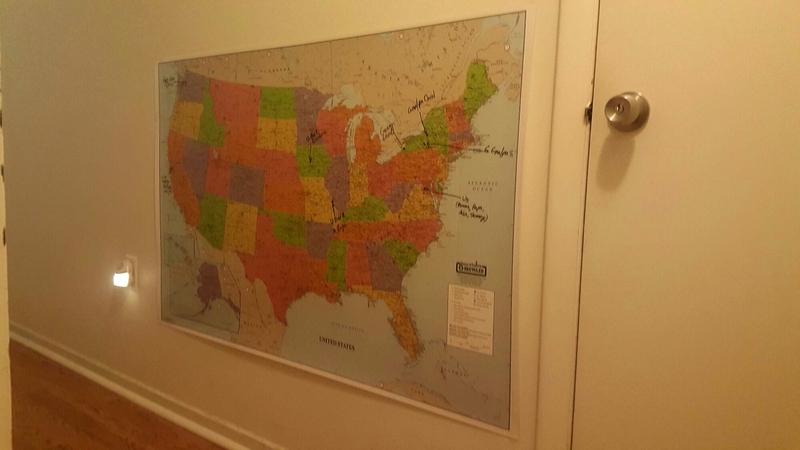 So, we bought (from Amazon) a large dry erase wall map of the US. We have labeled where we, Grands, Greats, & Uncles/Aunts are. And then as people travel we talk about where they are in relation to us.